Figure 1 – Top left: Iroro smiling with a happy bat. Top right; Hipposideros cyclops one of the bats in the area. Bottom; Field crew with some porters, just before my first climb on Afi Mountain Wildlife Sanctuary in 2015. Broadly speaking, I am interested in studying bat community and landscape ecology for theory and application in conservation of bat species and their habitat. For my doctoral work, I am investigating the drivers of bat species richness and assemblage structure along elevational gradients. 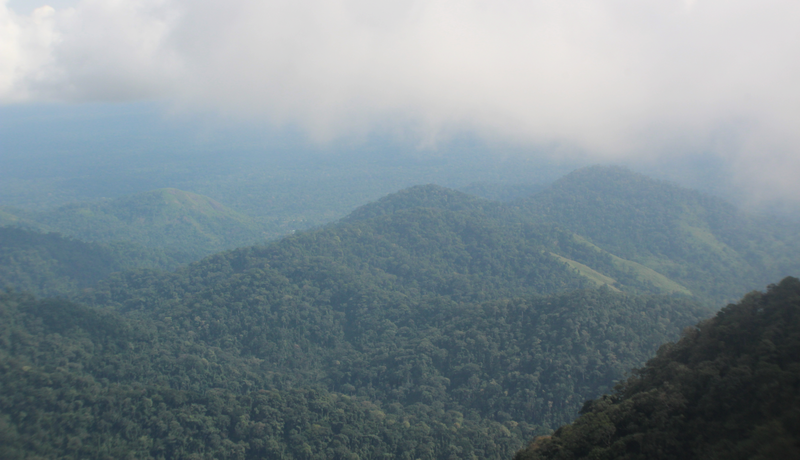 Whereas, a global model of bat species richness along elevational gradients was published in 2007, the bat fauna and indeed the richness pattern and drivers of such patterns on many mountains remain undocumented – including those in southeastern Nigeria. Understanding the pattern of bat species richness provides an initial step towards investigating the ecomorphological structure of bat assemblages along elevational gradients. Furthermore, I am focusing on how bat assemblages change along the gradient and the drivers of such changes. 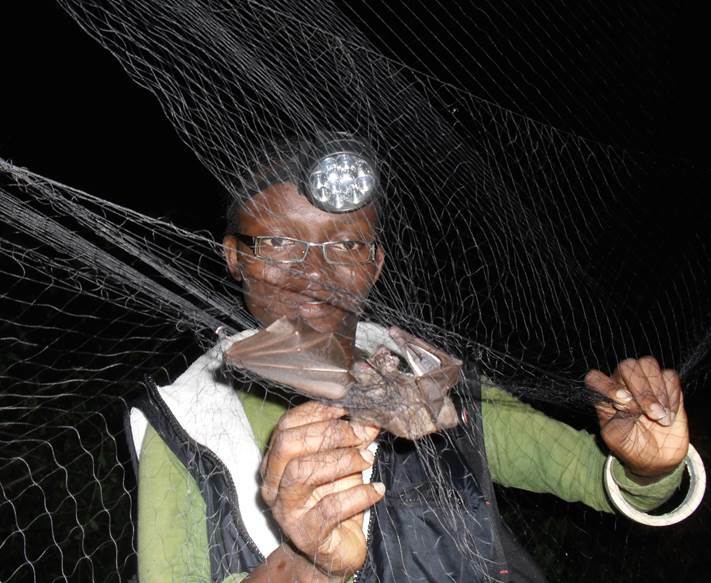 Although I have a long-standing interest in nature, my current interest in bats started in 2010 when I attended the Tropical Biology Association (TBA) field course in Kibale National Park, Uganda. During the course, I listened to an interesting talk on a bat pollination network in a West African rainforest – I was fascinated that curious scientists ventured into forests studying “enigmatic” animals, staying up all night, sometimes high up in the forest canopy, and this was all happening in my backyard! I wanted that experience! I was sold on bat research. Upon returning home to Nigeria, I didn’t waste time in visiting the large colony of Straw-colored fruit bats in Benin City. 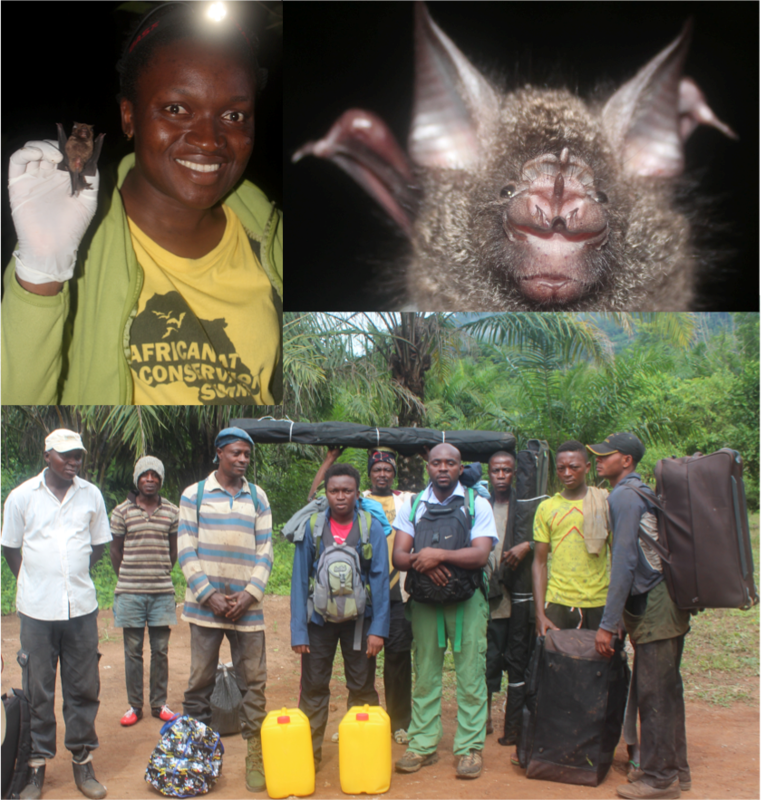 I took this interest forward by study bat diversity across three landscapes in southern Nigeria for a Masters thesis at the University of Benin, Benin City. My other experience with studying bats include conducting walked transect surveys for a Masters thesis at the University of Leeds to investigate the use of linear features like hedgerows by bats in agricultural landscapes. It is a wonderful work you are doing out there. We must say we are proud of you. I hope to visit Okomu by Friday or next week. Thank you, ma.